BonusCloud (BonusCloud.io) aims to develop a decentralized trustworthy global cloud computing platform to serve open and shared ecosystem platform in blockchain application. It combines the virtualization technology of cloud computing and blockchain to support more PaaS applications under the promise of guaranteeing its security. It can execute the smart contract, web application, storage application and computing application. On one hand, FaaS and Edge Computing can be developed by the virtualization technology of BonusChain. On the other hand, it stores all the transaction information and resource information into the blockchain where the users can inquire and audit freely. 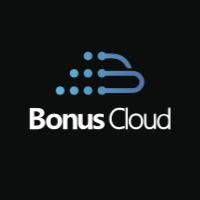 Why to Join BonusCloud Now? We are now in the phase of the public testing from October, 2018, with first public conduction of terminal device (routers, Raspberry Pi, etc.) as nodes of Lite to join BonusCloud to contribute network resources such as bandwidth and computing power. The network resources of the lite client can make contribution to help to build BonusCloud platform making full use of them without impacting the devices themselves. And you can get rewards while your device(s) contribute network resources to BonusCloud. What You Can Gain in BonusCloud Now? For now, once you succeeded in joining the BonusCloud with your activated device(s) and contribute network, you will gain BonusCloud’s token (BxC) which has been listed on gate.io (https://gateio.io) according to the contributions of your online and task completion status, and there are there types of contributions: online contribution, task contribution and task reward contribution. (Now only for online contribution and the other two types of contribution will launch in the future as scheduled). How to Join BonusCloud Step By Step? 1.Since the network environment is different, BCode is divided into Mainland China/Non-mainland China. 2.The BCode for Non-mainland China can not activate equipment in Mainland China. 4.Each account can receive maximum 10 BCodes per day. You can click the video link to know "How to Connect into BonusCloud with Raspberry Pi"
Insert the card reader into the PC/Mac, *Click Etcher*, select the system images file (Select =image), select the icon of TF storage card *drive* (Select drive), click “Flash!“, and it will take about 5 minutes for a TF storage card with speed of U1 to complete the burning. After that, Etcher will verify the completeness of the written data, and it will take around 1-2 minutes according to the speed of the card. Step 6 Insert the TF storage card into the NanoPi card slot, connect the power line and into the internet. Step 7 During the burning, the Power LED is on, and flashes constantly in red when the burning finishes. If the red and green lights are at the same time, it shows that the burning fails. When the burning completes, pull out the power line and charge it again. Step 9 Log in APP with your registered BonusCloud’s account. When sign in, please make sure that the Android mobile and the device are in the same LAN, otherwise the mobile can not search for the device. I tried the solutions of the web global solution center, but it doesnt work. How can I to try a new solution?